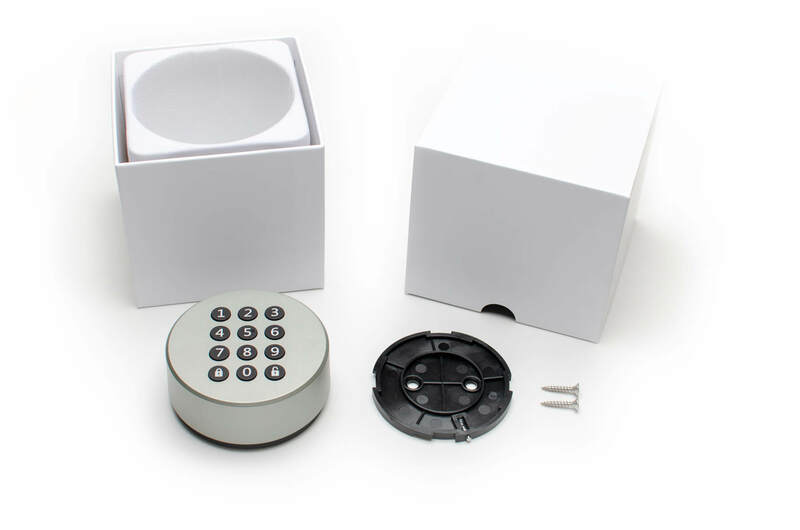 The Danapad is a wireless, smart access keypad that allows you to operate your Danalock smart lock without a smart phone. 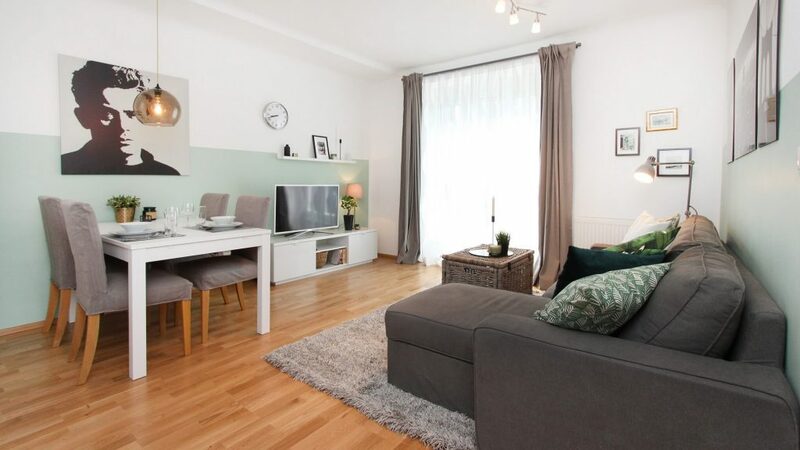 With its elegant Danish design and advanced encryption algorithm the Danapad presents an elegant and secure way to wirelessly control and share access to your home. The Danapad seamlessly blends with into the environment and fits any door color and style. 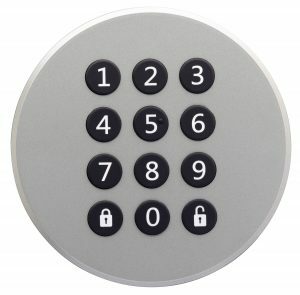 Danapad’s keypad has built in LEDs in the keys, which gently light up when you enter your PIN code. You no longer have to bring a key or a phone when you leave home. 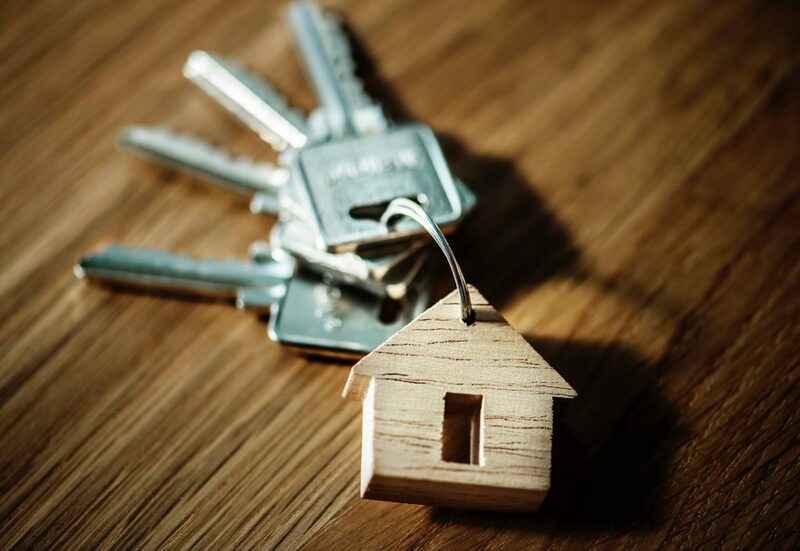 You can just use a personal PIN code to unlock your home. Give your children and family personal PIN codes as well and never worry about anyone losing a key again! Danapad V3 PIN wireless access keypad is mounted on the outside of the door or the wall nearby. 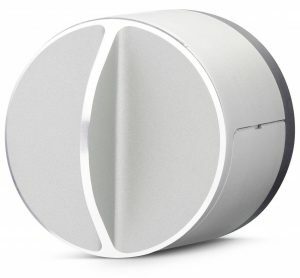 It needs to be mounted within Bluetooth range of the Danalock smart lock. You can unlock your front door without using a smartphone. Give access to your home with Danapad PIN codes. Fast and Simple. Every family member can enter the house / apartment with their invidiual PIN code. Not even keys or a smart phone are necessary. The main advantage of a PIN code is that it can be deleted and replaced by a new PIN at any time. The concern that anyone would be able to make a copy of the key and unlock your property is now unnecessary. 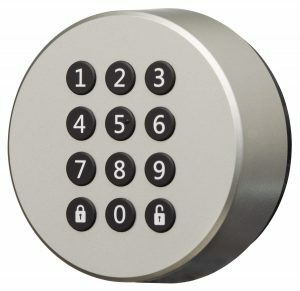 Each family member can receive his individual PIN code (4 to 10 digits) for locking and unlocking the door. 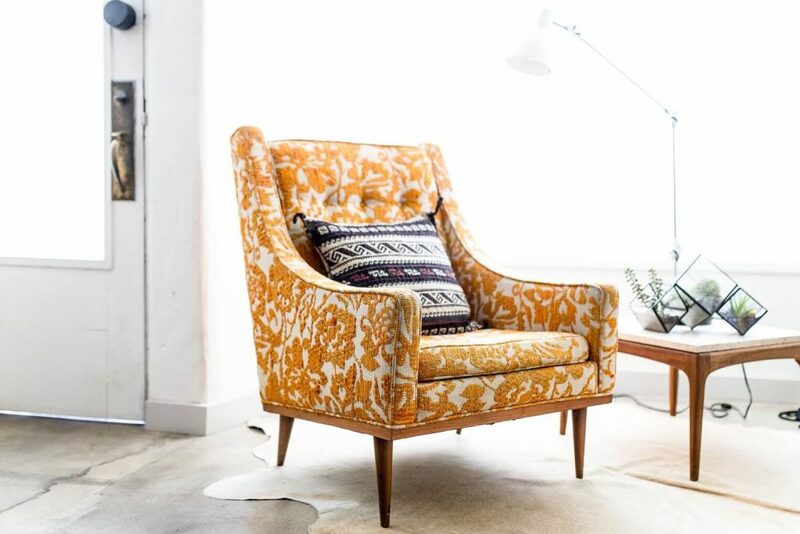 After guests leave the property you can immediately create a new PIN code or replace it on a weekly or monthly basis. Now you can eneter your home anytime even withour a phone or key. With a couple simple digits. 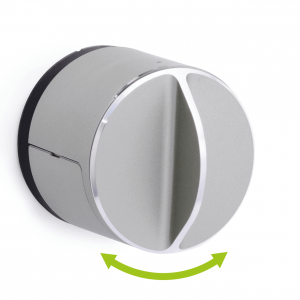 Danapad connects via Bluetooth to the Danalock smart lock. Because of that the Danapad needs to be within Bluetooth range of the Danalock device. Enter your PIN + Press Unlock => The Danalock will unlock the door on the inside. Enter your PIN + Press Lock => The Danalock will lock the door on the inside. After entering the correct PIN code on the Danapad keypad and pressing the »unlock« button, the Danapad will send a Bluetooth signal that will turn the mechanical motor built-in the Danalock and unlocking the door. 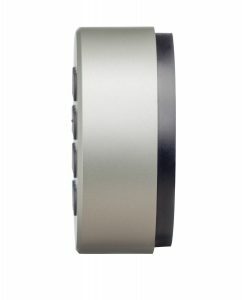 IMPORTANT: In order for Danapad to work the Danalock V3 smart lock is necessary. The PIN code can be set up via the Danalock mobile application. It can be replaced with a new code or several codes at any time. Setting and resetting the PIN code can be done via mobile phone (Bluetooth) when in range with both devices – the Danapad and the Danalock. 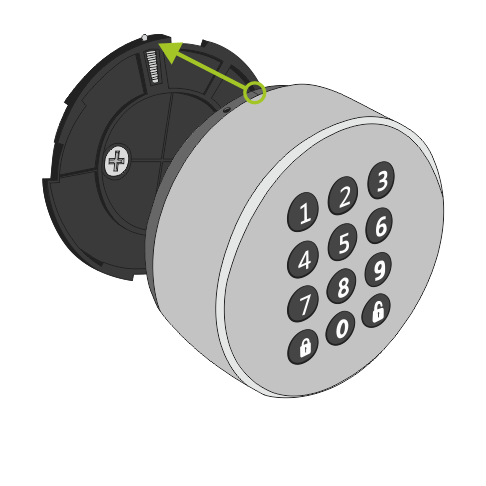 The PIN code length can be set from 4 to 10 digits of randomly selected numbers. 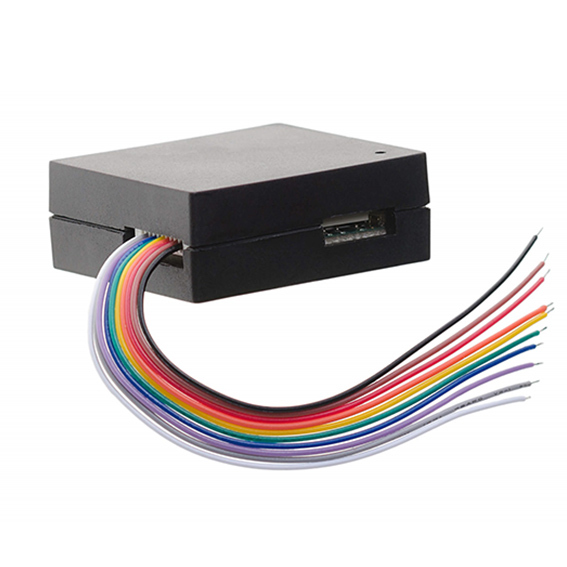 At one time Danapad can store up to 20 different PIN codes. The PIN code can be set as permanent (ie, a permanent PIN code) or temporary (i.e., a temporary PIN code). Temporary PIN codes are going to be avaliable in a later version of the firmware (Expected: Sping 2019). Designed for all weather extremes, the Danapad Wireless Keypad works well in hot and cold climates. Its robust housing can easily withstand the effects of salt, fog, and rain. 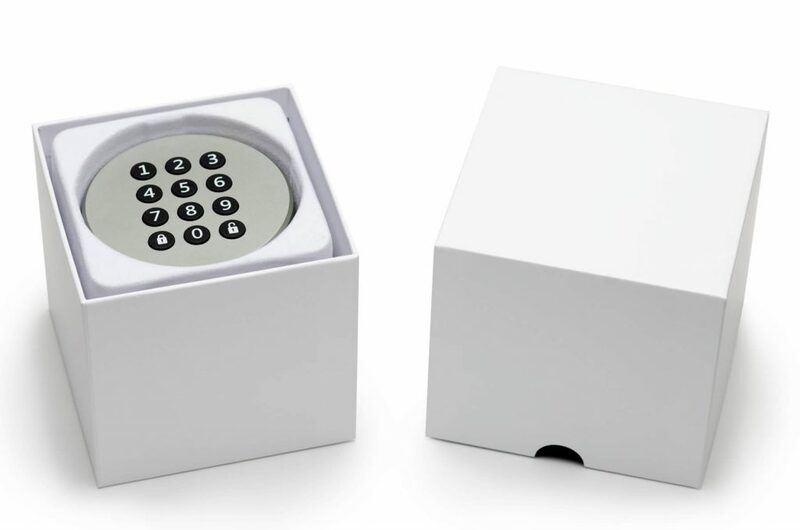 The Danapad Wireless Keypad, like the Danalock Lock, contains a unique encryption based on AES 256-bit encryption technology. 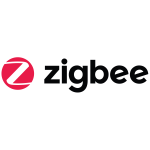 Each bit and byte is double encrypted and securely protected from external access. This ensures encryption, which is as secure as online banking. Similarly data protection technology is used by companies like Apple, Amazon and many other trusted brands. 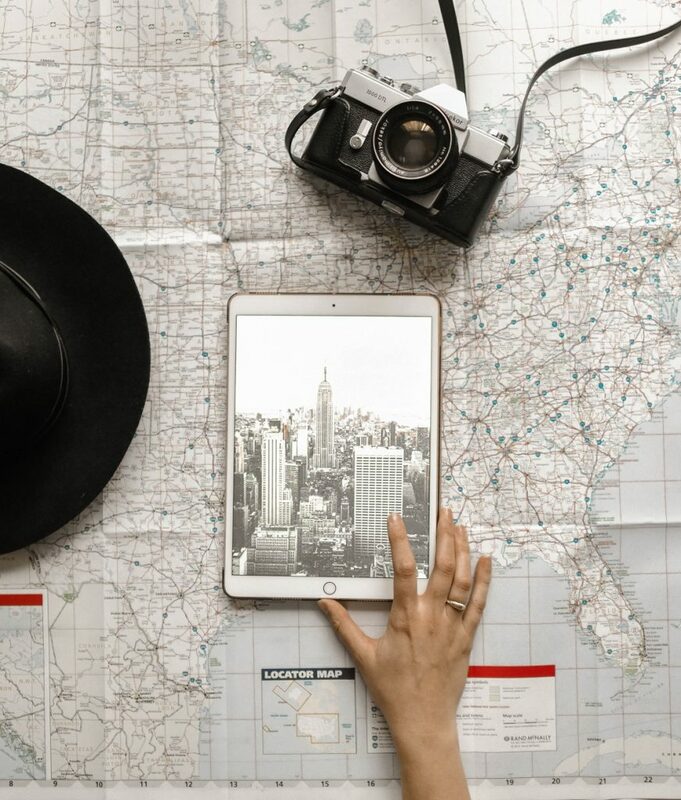 Preventive Security Feature: In the event that the PIN code is incorrectly entered 3 × in succession, Danapad will automatically disable PIN code entry for an additionaltwo minutes. Smart home accessible to anyone! I want to request an offer! IMPORTANT: Danalock V3 is considered a prerequisite in order to use Danapad V3 and its functionalities. 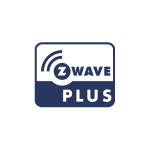 Danapad V3 is compatible with Danalock V3 Bluetooth, Danalock V3 Z-Wave, Danalock V3 Zigbee. 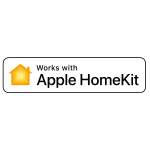 Danapad is not compatible with Danalock V3 Apple Homekit version! 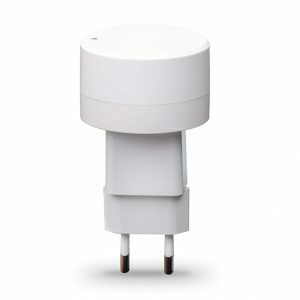 Danalock V3 is a prerequisite in order to add the Danapad V3 to your smart home devices. Check the Danalock V3 compatibility in the features table here. 2 screws, 2 wall plugs. Wireless Unlocking – one PIN away. Mounting of the Danapad is simple and easy, and anyone can accomplish it basic skills and without any pre-knowledge. 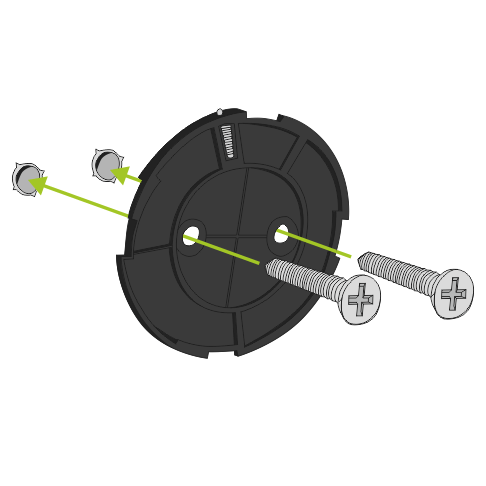 Attach the mounting plate with the screws, insert plugs, and fix it on an even surface. If you prefer to skip the drilling, you can also install the Danapad with a strong double-sided tape, since the Danapad is very light. The key Advantage of Danapad is that is does not need any cables for power and communication. Standard batteries charge it and it communicates with the Danalock via standard wireless Bluetooth communication. This makes installation fun and easy. Here you you can find a step-by-step gudie incluiding mounting instructions, device setup and firmware upgrade instructions. Fixing the mounting plate on the wall or any other flat surface. With a simple “click”, Danapad will fit the mounting plate. Quick and easy – Cabling is not necessary. create a PIN code for the Danapad. The Danapad needs to be added as a new device within the same Danalock mobile app, which is used for controlling of the Danalock smart lock. IMPORTANT: Before pairing the smart lock and the PIN keypad, the firmware of the Danalock smart lock needs to be updated first. 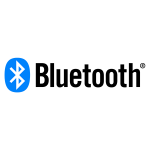 You can do in the mobile app via Bluetooth, when you are within range of the smart lock. See setup instructions for detailed info.